Baijayant Panda Vs Anubhav Mohanty. 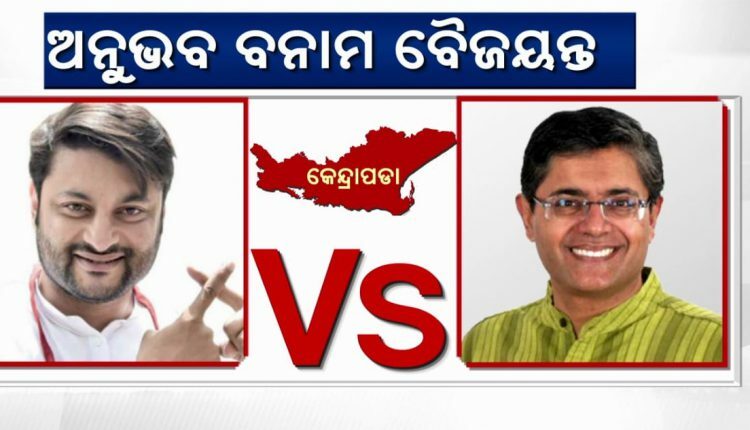 An epic battle of perception is being unravelled for the Kendrapara Lok Sabha seat. Ground reality is being obfuscated in this battle of perception. As the role of dramatis personae dominates this battle, the voting preferences of the people in this BJD citadel, the issues and changing arithmetic are being relegated to secondary importance. Will the lotus bloom for the first time in Kendrapara LS seat or will it wilt again without a trace as it happened in 2009 and 2014? The jury is out with their verdict. The viewpoints of the poll pundits basically range from how BJD has committed hara-kiri in not taking back Bijay Mohapatra into the party fold to how the Bijubabu’s Karmabhoomi will thwart all designs of BJP and keep its unblemished record intact in Kendrapara. Kendrapara is indubitably a BJD fortress. Since 1999 Lok Sabha polls, the BJD vote share in Kendrapara has never gone down below 50%. In 1999, BJD candidate Prabhat K Samantray got 57.49% of votes while Archana Nayak of Congress got 41.15% votes. In 2004, Archana Nayak contested from BJD ticket and she polled 54.20% votes and her main challenger Srikant Jena got 43.81% votes. The 2004 contest between Archana and Srikant was billed as a cliffhanger, but the BJD won by more than 86,000 votes. The 2019 contest between Baijayant and Anubhav bears ample similarities with the 2004 elections. In 2004, Srikant Jena, a former prominent Janata Dal leader and close associate of Biju Babu fought against BJD candidate Archana Nayak and lost the polls. In defeating Srikant Jena, Kendrapara delivered a stern message that all efforts to conquer Kendrapara after dissociating from or betraying Biju Babu’s legacy will come a cropper. Baijayant Panda contested the elections from Kendrapara for the first time in 2009 and he polled 5,02,635 votes. In 2009, BJD had won all the seven Assembly segments of Kendrapara Parliamentary constituency. If we take the total number of votes polled by Baijayant and the seven BJD MLAs, there was not much difference between the two. If Baijayant got 5,02,635 votes, all the seven BJD MLAs got 4,96,284 votes. Thus the votes polled by MLAs play a crucial role for the victory or defeat of an MP candidate in simultaneous Assembly and Lok Sabha polls. In 2014, Baijayant polled around 6 lakh votes and all the seven MLA candidates of BJD polled around 5.50lakh votes. No knowledge of rocket science required to understand why 3 candidates of the BJD lost in 2014 in comparison to 2009 while Baijayant got nearly 50000 votes more than the MLAs. Now, let’s delve into the vote share of the BJP from Kendrapara in 2009 and 2014. In 2009, BJP MP candidate Jnandev Bureau polled 80392 votes and in 2014, Bishnu P Das got 1.18lakh votes. In 2014, Bijoy Mohapatra contested from Mahakalapada on a BJP ticket and this 1.18lakh votes for the BJP MP candidate include his contribution too. However, BJP candidates lost their deposit both in 2009 and 2014. In 2019, the rejoining of Bijoy Mohapatra thus does not add anything new as he had already contested on a BJP ticket in 2014. The first new factor, however, is Salepur MLA Prakash Behera. He left Congress and got an MLA ticket from BJP. Prakash got 78343 votes in 2014 and his main challenger Prashant Behera of the BJD got 76226 votes. The gap was barely 2000 votes. Salepur may again go down to the wire this time. Before he joined BJP, Prakash was very optimistic about the BJD performing very well in 2019 polls. Thus it’s still shrouded in mystery why he didn’t join the BJD. In Mahanga, Sarada Pradhan who contested as an Independent in 2014 has now joined the BJP. Sarada had lost the 2014 Assembly elections by a margin of nearly 28000 votes. 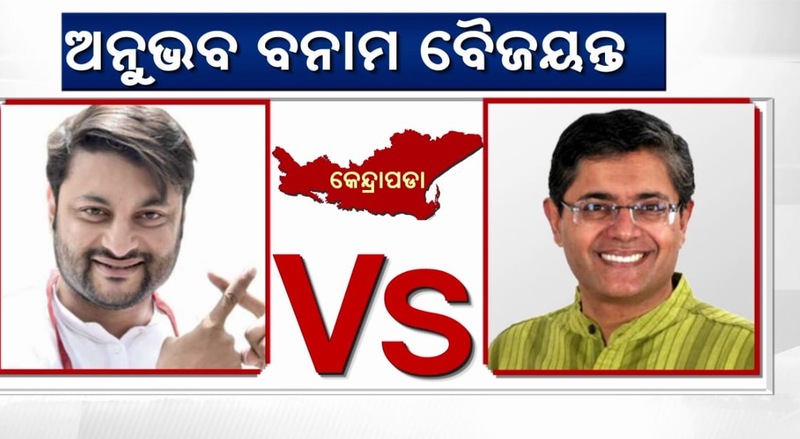 It remains to be seen if BJD’s Pratap Jena would widen the lead against Sarada this time or the margin would get reduced. Apart from this broad arithmetic, personal chemistry also matters. Baijayant has spent his MPLAD funds well in constructing water tanks. As per several opinion polls, clean drinking water is a major concern for the voters across the country. He also has been touring the constituency regularly from 2009. He also has built a vast personal network to support his initiatives. Baijayant is articulate, resourceful and has got ample media firepower. In contrast, Anubhav’s star power can act as a magnet to attract especially women and young voters. He has got cinematic charisma and he’s a proven crowd-puller. Anubhav’s no-frills attitude can aid his campaign. He’s more grounded and readily accessible over phone or in person. Besides Anubhav and Baijayant, the Congress has registered second position consistently in Kendrapara LS seat. In 2009, Ranjib Biswal of Congress had got 3,75,528 votes and in 2014, Dharanidhar Nayak got 3,90,723 votes. Congress vote share was nearly 35% in 2014. Since Dharanidhar Nayak is tipped to contest the LS polls again from Kendrapara, his role will also be keenly watched. While both Anubhav and Baijayant don’t belong to Kendrapara, Dharanidhar is a son of the soil who can turn several calculations topsy-turvy. Baijayant’s late entry into BJP at the eleventh hour has also raised few pertinent questions whether few bigwigs who call the shots in Odisha are happy with his inclusion in the BJP or not. Will they allow Baijayant to win the polls and imperil their chances to become ministers again at the Centre? The wives of both Baijayant and Anubhav can of immense help to mobilise voters and can aid their spouses in this gruelling summer. The battle for Kendrapara may no longer be confined to Baijayant Vs Anubhav. It can spark off another battle between their spouses to win over the women voters. Dharanidhar Nayak has not yet been officially declared as the Congress MP candidate from Kendrapara. He can be the X factor in Kendrapara. I must admit that it has not been possible to accommodate all the myriad factors in Kendrapara in this article. This is just a curtain-raiser and more to come on this high-profile contest as the campaign gathers momentum.